iChun's blog » A new PortalGun model? How’d you like to make a PortalGun model? That’s right guys. 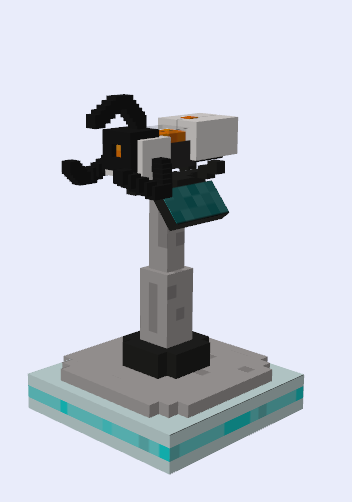 While I’m busy with the rewrite, at the same time I would like to change the portalgun model with something perhaps better looking and a bit more detailed. You guys now have the chance of creating a model for the mod! You will of course, get creds if selected. 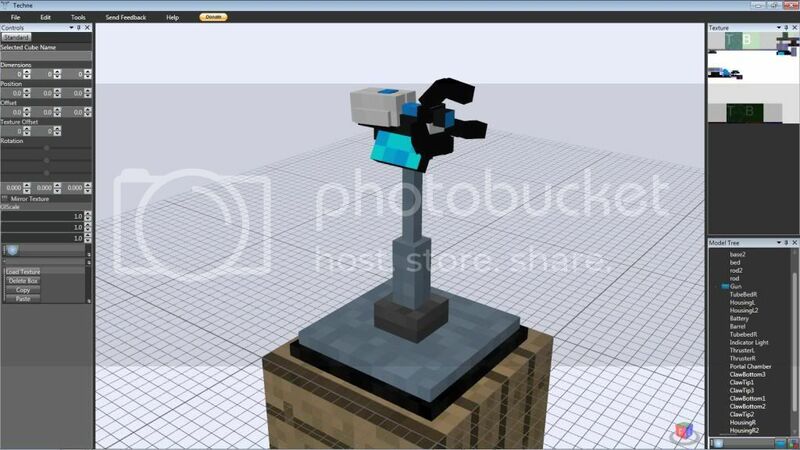 You need to make a model and texture of the pedestal [Example here and here] and with the portalgun attached (like the picture above). Make sure to read the model guidelines too! You need to upload a screenshot of the model or upload it to Techne Online, upload the tcn save file from Techne somewhere readily accessible. Post a link to the screenshot/Techne Online as well as the download to the TCN file in the comments of this post. There is no deadline for this yet, but doesn’t mean you can dilly dally, if you want a shot at it, please submit it before I DO set a deadline! 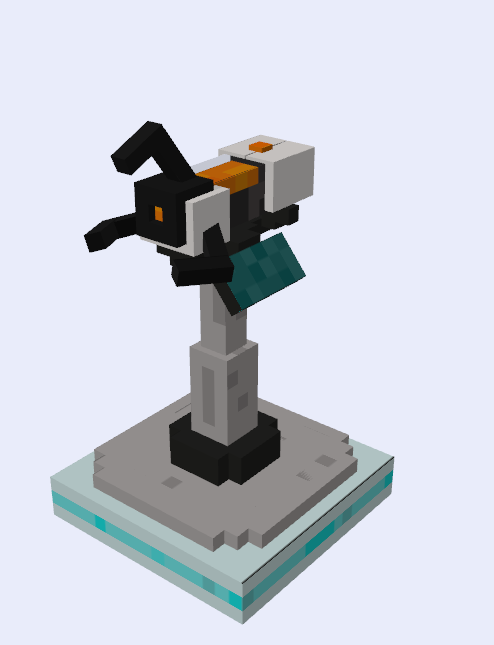 The model HAS to be of the Pedestal with a portalgun on top. 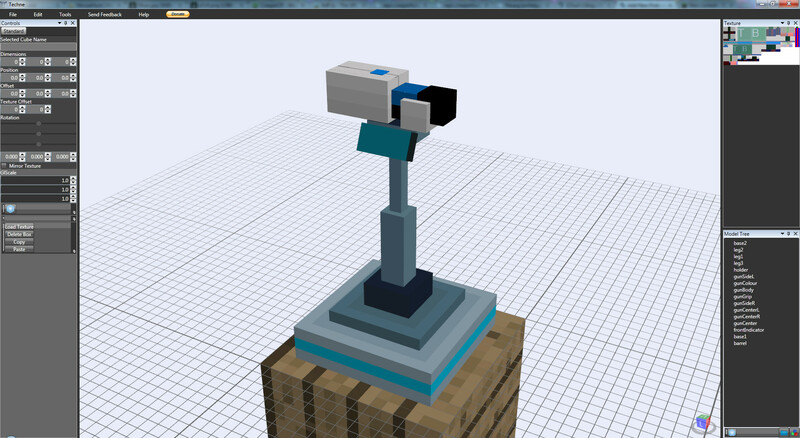 The portalgun model is derived from this model. You can use the old model and the screenshot links above as a guideline. The model can be of ANY size, the larger it is, the more detailed you can make it both modelwise and texturewise. 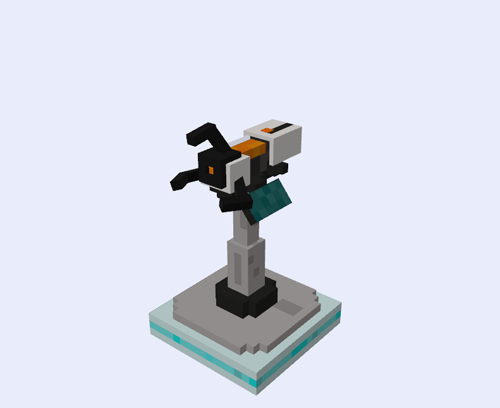 Please try to make it larger than the old model though, because that itself was undersized. 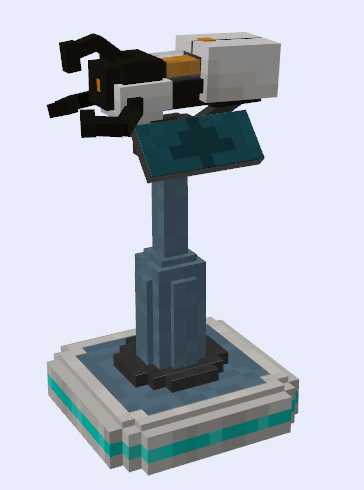 Please maintain the height/width ratio for the model! I can’t shoot a portal from a portalgun that’s waaay too high or waaay too low. So, that’s basically it for now, hope to see some awesome submissions in the near future! UPDATE: Deadline is finally set, 1st Dec, 12 am EST. Hi! I\’m Lucas. I\’m from Brazil. I did my model and was not very good … I will send you soon. 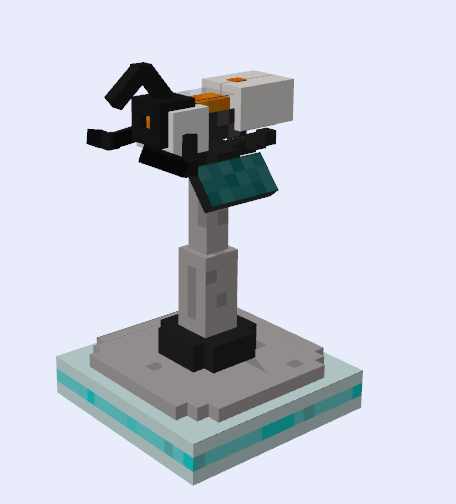 Completely rebuilt and retextured both the gun and the pedestal from scratch. AGREED. i wanted it to have those spikes on the actual model. just move the line so that it lines up with the dot and make it thinner and its an epic model!!! btw you posted a few hours into the future for me cuz right now its half past 3 in the afternoon! Amazing! I personally like this model. 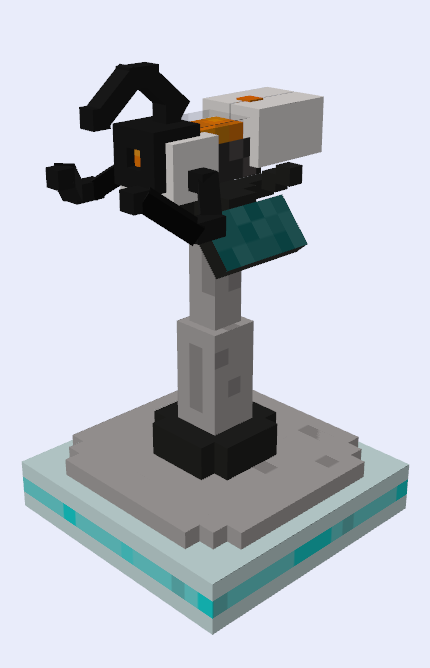 Im sorry if I missed something that could tell me how to change portalgun models, but I really like your model and I\’d like to change the default model to yours. How do I do it? iChun is in the process of re-writing portalgun for the third(?) time, and is asking for new model suggestions. The new model will be included in the next release. They can’t be added in to the current release, but hopefully the update will come soon. OMG FORGET ABOUT IT THERE IS NO WAy I CAn BeAT L5’s MODLE! HIS IS LIKE THE BEST!!!! USE HIS ITS TOTALLY AWESOME!!! Oh and I didn’t see this page a minute ago. dafuq? l5 made this today? THIS PAGE IS MAdE TODAY!!! and I think I posted this before you? I love the potential candidate! It just looks freaking awesome! Wow, kudos on the cool model, L5_. I just told someone that I hoped no pro modelers saw it, so that I would not get outdone, haha. I guess I will have to shrink the GI scale and add more detail. Nice! Pick L5\’s Model. By the way for Mac/Linux users like myself, you can do this by running windows in VMFusion(49.99) or VirtualBox(Free). Enjoy! I am having texture problems, I’ll post ASAP. 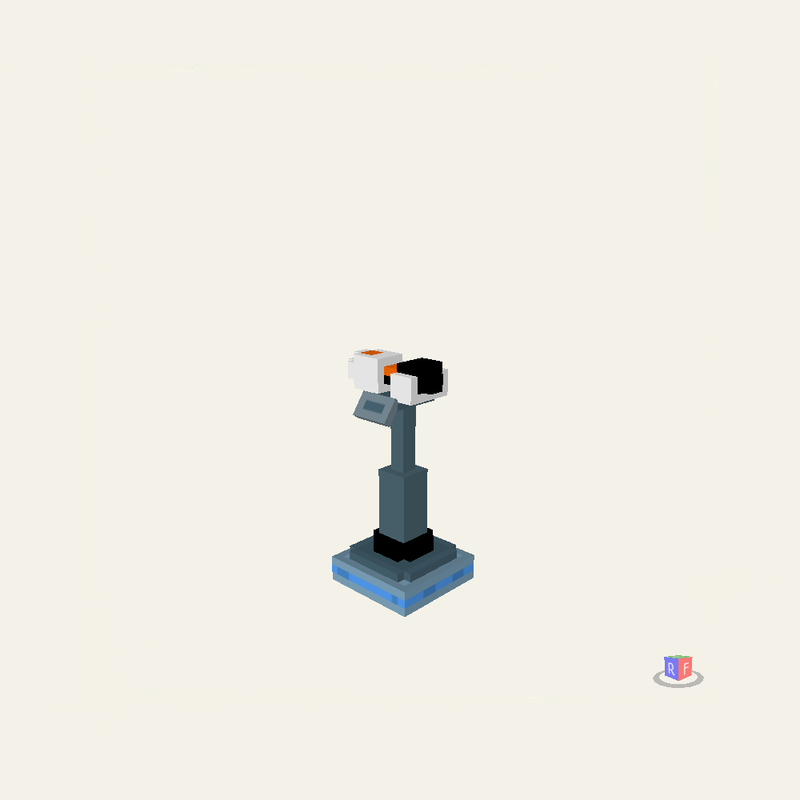 I’m making a model but the texturemap it generates for the model doesn’t make sense, as one pixel on the texture map is placed in several different places on the actual model. 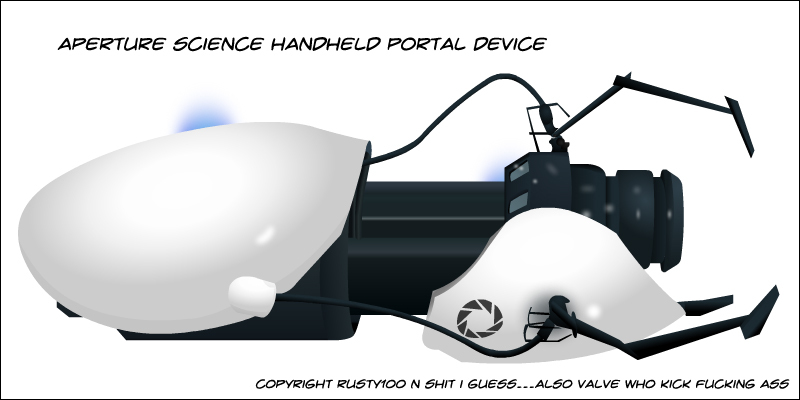 If I could figure that out or if someone could provide some advice I’d make an epic portal gun. Version 2: Adjusted proportions, (hopefully) improved claws. The claws look a bit too fat..
…Agreed. I can’t make them thinner due to limitations with the modeler, but I can make them smoother. Hopefully this helps. Final submission. I think I finally got everything the way I want it. this is the best one of them all. Can we haz a model of potential candidate for testing? 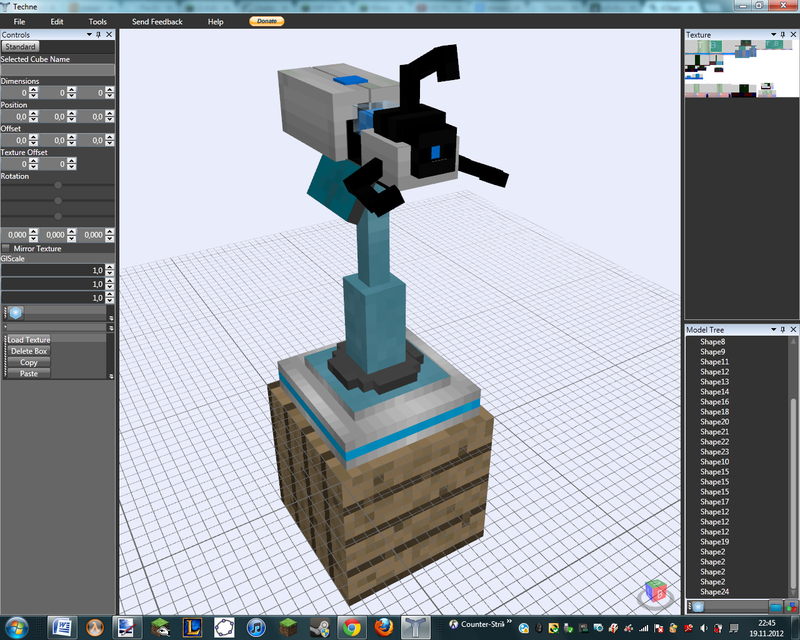 My entry is split up in 3 files: the pedestal, the blue portal gun and the orange portal gun. I did this to prevent confusing myself, since this is my first time working with Techne. Just a question, how do you install the models in the mod? Because i want to try out L5_\’s model. I think you can’t install the models. iChun has to compile the model into the mod ‘n stuff. Made some differences that you might notice (eg. made shapes look rounder. This one is the best cause of the model and the skin! nice job! Entries are now closed. Thanks for participating guys! Seen some good entries, will let you know how it goes in the future. go with L5_’s one. it’s obviously the best. Little bit late, but hopefully not too late! What does “deadline” mean in the mainpost? Deadline is the time when something ends. Here: New submissions will be not accepted and the best one will be in the mod! iChun we should use this one its the best model right? who cares if its late!